While the rest of the student body went away for spring break, No. 25 Case Western Reserve University men’s tennis team took a trip to Claremont, California for the Stag-Hen Invitational. The team faced off and lost to No. 4 Bowdoin College and No. 14 Pomona-Pitzer on Monday, March 12; defeated No. 34 Swarthmore College on Tuesday, March 13 and lost to No. 15 Trinity University (Texas) on Friday, March 16. In their victory over Swarthmore, the team got off to a great start, winning two of its three doubles matches. 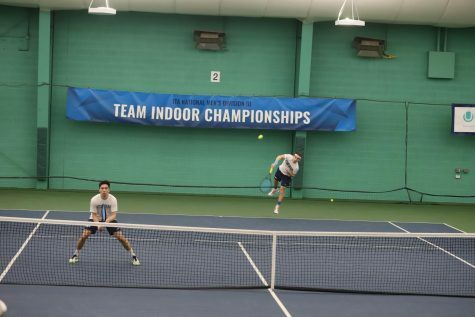 In the second doubles, CWRU second-year tennis players Anthony Kanam and Sam Concannon came up with a solid 8-2 victory, and in the third doubles, CWRU first-year players Jonathan Powell and Neil Mabee had an even larger 8-1 margin of victory. 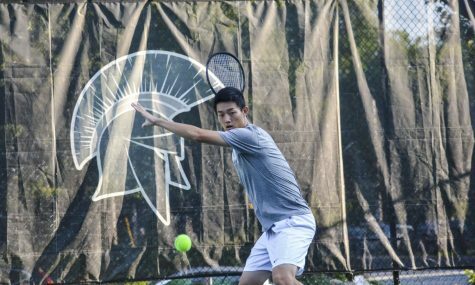 CWRU’s sole doubles defeat came by fourth-year player James Fojtasek and first-year player Matthew Chen 8-4. Following their early lead, CWRU kept applying the pressure on Swarthmore. In the first singles match, Fojtasek made quick work of his opponent, winning 6-1, 6-1; in the third singles, Kanam breezed through a 6-1, 6-2 victory. 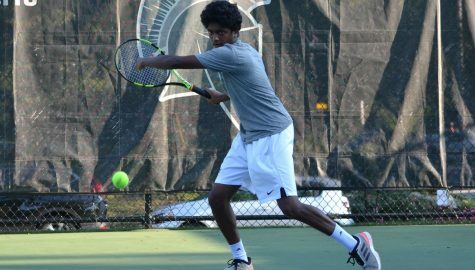 The team finished off the match with two more victories by Concannon at the fourth singles 4-6, 6-4, 11-9 and second-year tennis player Siddharth Rajupet at fifth singles 6-3, 6-3. In the rest of their matches over the course of the week, the CWRU men’s tennis team did not fare as well. The team fought hard and played well, coming close to victory, but ultimately the other teams were too much for them. The team was unable to play all of its scheduled matches over break due to inclement weather. Their match that should have been on Saturday, March 10 against Chapman University was rained out before it could begin, and their match on Friday, March 16 against Vassar College was canceled due to rain after the doubles matches were completed. Despite some of the team’s losses over the course of the trip, Head Coach Todd Wojtkowski remains confident. With their West Coast trip complete, the team will have two weeks off to prepare for their next match on Friday, March 30 against Haverford College.